Always enjoy reading “Ask the Rabbi” emails and your always insightful answers. To take your .25 acre example a little farther, a few years ago I was bored and did the math on how large an area would the worlds population fit within. I went with the entire worlds population (I used 7.5 Billion) and had each person stand within a 2′ x 2′ square. This wasn’t supposed to be a comfortable situation just an area calculation. Turns out the entire worlds population will fit within the state of Rhode Island plus room for an additional .7 Billion. And we enjoy hearing from readers like you. Thank you. Your calculation is every bit as surprising as mine and just as true. As we said, worrying about problems too early is just as dangerous as worrying about them too late. It is often fascinating to take note of which worries and fears arise at different stages of social development… At the most primitive level, people are concerned with immediate needs of food and shelter and survival. At the ‘peak’, we find the luxury to worry about broader and broader problems, such as obesity, economic systems, population growth, global climate, and whether or not our dairy products come from cows with certain hormonal additives. 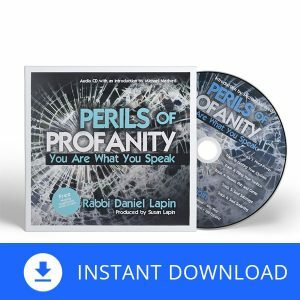 One of the reasons I am an avid listener to the podcast is because the Rabbi has a gift for keeping my feet on the ground, while elevating my thoughts. And discussions like this, with Mrs. Lapin’s collaboration, are always engaging to read. It is most appreciated. and thank you for mentioning the collaboration I enjoy with Mrs Lapin that makes all possible. You effectively point out the changing concerns of an increasingly decadent society. I can’t stand it when girls cry! Thanks for your lovely words. Much appreciated. Oh, I can! I’m crying too, Janet! What would we do without Ancient Jewish Wisdom! I’m so grateful to live in this special time, when so many Christians are discovering the wisdom of the Torah! 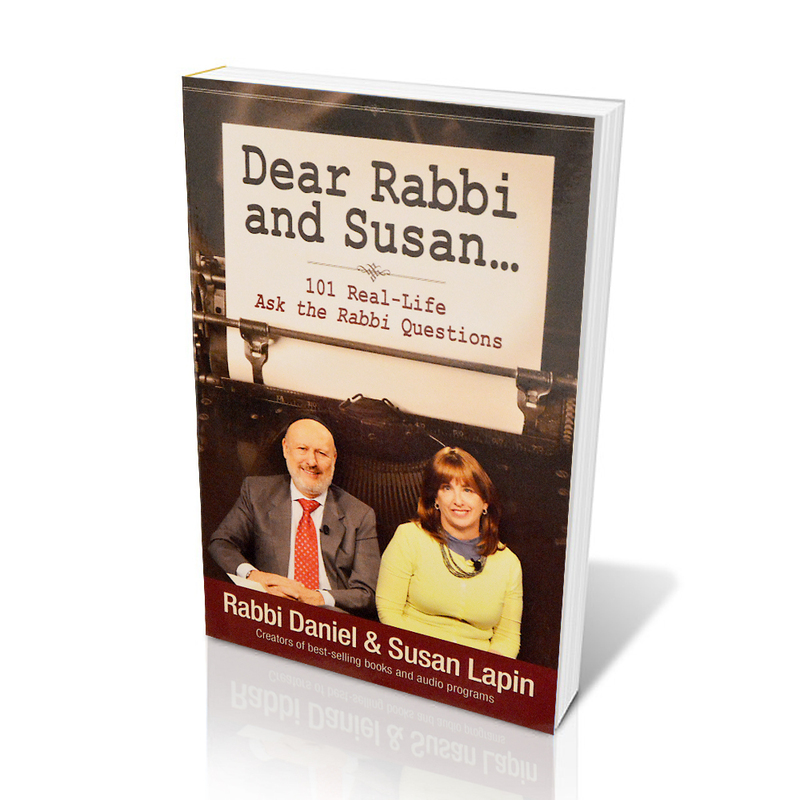 That is a wonderful answer and expressed wonderfully, Rabbi Lapin and Mrs. Lapin. By the way, I found it interesting that you say three children to support two parents. Traditional Chinese culture says a family of five is the ideal family size. Looking to the past for wisdom is generally more effective than peering into the shaky predictions of the future. My understanding of Chinese traditional culture is that it wisely looks into the past for guidance on those matters that never change, including family. I am not surprised to hear from you that they arrived at the same conclusion that each generation needs to be at least 1 1/2 times the population of the previous for viable economies. I love your distinction, “…just as tackling a problem too late is a very bad idea, so is tackling a problem too early.” That’s Big Picture thinking that can help one from falling into some rhetorical traps used by expensively dressed heathens who have many theoretical stances. But, you might not have properly weighted the challenge that technological progress can partially remedy economic consequences of inadequate population. It seems obvious that if the productivity of one person keeps increasing it should take fewer working people to support their elders. This would not offer mere variety of services: If variety is what is needed then variety will be provided, but if commodities such as water or nursing care are needed then the extra productivity will help provide them instead. Of course, what is beyond the scope of one essay and set of reader comments is that providing services without numbers of warm, affectionate people brings disadvantages like loneliness and a lack of nuance in care provided. But in measurable terms it seems that economic efficiency via technological progress has already alleviated the population challenge and will continue to do so. We always appreciate your thoughtful comments and this one lives up to your standard. As a matter of fact, it should have been addressed in our original response but it was already a longer than usual answer. Your observation is that surely one person is far more productive today than in, say, 1919. If it indeed it took 3 people’s productivity to support 2 parents a hundred years ago, surely today that support could be provided by 2 or perhaps even by 1 person. And this does sound incontrovertibly logical. Now you know that the next word is going to be “but”. What is more, it is going to be a colossal “but”. BUT, we know many logical predictions that never came to pass. One of the most important failed predictions has been made by prominent and influential economists several times. Soon after World War II, the widespread introduction of new machinery made the average European worker nearly one and a half times more productive than his counterpart just twenty five years earlier. The resulting rapid economic revival, spurred French intellectuals to extrapolate out the productivity growth graph and boldly predict that by 1990, there would be no need for Frenchmen to work more than 3.5 days per week. Needless to say, that proved to be incorrect. (Though of course most French workers have yet to reach the target of 3 1/2 days of honest work a week!) More recently, we’ve heard from American industrialists and socio-political pundits who enjoy hanging out with their like in Davos who confidently assert that due to developments in artificial intelligence, the West’s biggest problem will be finding out what to do with all our leisure time once most of our work will be accomplished by robots. Earlier, with the development of water-wheel-driven lumber mills, the newspapers and journals were filled with breathless accounts of how we had arrived at a new age when men would be able to devote themselves to higher purpose as the drudgery of work will be done by this amazing technology-water driven power. Needless to say, none of this has turned out to be even remotely true and American full time workers, in common with ambitious people in most developed countries still work an average of at least six days a week. So, what happened. One couldn’t argue with the logic that with huge increases in individual productivity, the amount of work it would take to support a person (or a family) would diminish. But it didn’t. We can’t treat this complicated area of economics fully in this answer but the basic idea is that expectations go up as well. Back in 1919, most Americans had very limited travel horizons. Half of all American families lived on farms and the commute was a walk. For anything further, they took the bus or train to wherever they wished to go. Now owning a car is considerably more expensive than depending on public transport yet how many people would be willing to lose their cars in exchange for knocking half a day off their work week? Similarly, many other wonderful enhancements to life are no longer viewed as enhancements but as necessities. The bottom line is that in spite of increased per capita productivity, people still work roughly the same work week as 100, 200, and 300 years ago. Now this all serves as an example rather than as a precise parallel for why a functioning economy requires at least three people for every two in the previous generation. Yes, you’re right; computers and mobile phones have made them more productive than their parents just as water wheels made colonial kids more productive than their farming parents. But a functioning economy still requires a growing population. We are sure that these ideas will launch productive contemplation during those few quiet hours each work when you are not working and we look forward to hearing the results of your ruminations. It sounds to me that Mr. Altschuler is only considering finances. I believe there are more to taking care of one’s parents than financial resources. It might be possible for one person to take care of one’s parents financially, but what about time and effort and health and emotional support? If your answer is, “nursing home”, a lot of people would rather just die than go to a nursing home. A nursing home can provide the physical health needs, but not much more, in my opinion. I think those other needs would be difficult for one or two children to provide. I am not convinced by Mr. Altschuler and still side with Rabbi and Mrs. Lapin. I also love your answers. Question: Do you see any possibility for a stable multi-cultural USA to ever exist in “The Real World”. I see unsolvable conflicts between cultures, where coexistence can only occur if millions of individuals within either or both cultures abandon some of their most adamant beliefs. Abortion being a notable current difficulty with almost no common ground between the two sides of the issue. Thanks for your kind words. Regarding your question, when it comes to demographic and geopolitical predictions, never say never. Who would have thought in 1945 that Germany and Japan would become stalwart allies and dependable trading partners of the United States. In 1950 what American would have thought that grown men would be allowed into women’s restrooms within only sixty years? 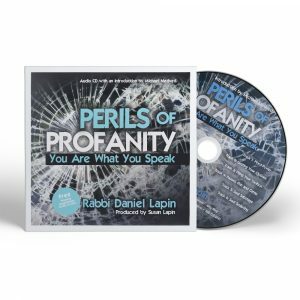 One way that millions of people could change is through the agency of a newly revived and potently fervent Christian reawakening throughout the US. We don’t see it at the moment but could it happen unexpectedly? Oh yes, without question. In fact, I am somewhat optimistic. But then I speak at many wonderful churches each year and they inspire me with hope. Jim, if I can add to my husband’s words, abortion is actually an area where the science and the culture are steadily moving towards recognizing the flaws within the concept, which is partially why Leftist extremists are getting more and more extreme. Younger people are not as pro-abortion as older ones. You both have so much wisdom that is rarely found. Thank you for sharing. Thanks for being part of our ‘community’. Always enjoy your articles, responses to folks questions and podcasts! Blessings to you both and your family. Thank you for taking the time to tell us, Maria. Demographers have been talking about the population of Western countries not reaching replacement levels for at least the last twenty years. Most of Europe has birth rates of 1.3-1.5 children per mother, replacement is 2.1. In the US we used to have replacement level, but even with the higher birth rate among illegals we are now below the 2.1 minimum. What this means is that by 2050, give or take a few years, the native population of Europe will be half of the number it was in 2000. That doesn’t mean there will. Be fewer people, but the native Germans, French, Italians, Spanish and English populations will be on a treadmill to oblivion, for there will also be half as many women to have the children. While it is difficult to definably find causation there seems to be correlation to the amount of religious belief. Demographers have long known that religious families have more children and pass that tradition on to their children. You don’t need a Ph.D. to see that Orthodox Jews and Evangelical Christians have more children than their secular neighbors. One of the most radical concepts to come out of Christianity is the idea of eternal life. It destroyed pagan culture that was based on the survival of the tribe and not the individual. Pagans counted on passing their lives on in the tribe. Christianity offered eternal life for the individual. That destroyed the cohesion of the tribe. Few people ponder that the cities, towns, factories, and farms of our culture will some day pass away, but it will. That mountain, river lake and stream will be known by some other name. Oh, evidence of what we have done will still exist but the songs we sing, the simple things we do, or have done will, at best, be specters in dark glass. For the Jews, we will still be here. One of our G-d given chores is to remember. I have read history, and was shocked as youth when I read of ,” population control”, for too often it is tactic to decrease opposition. This in military in plans of some to take over.